From a published poet in the 70s to a newspaper columnist in the 80s and 90s, Jim Gibbons emerged in the 21st Century with enough flashbacks of the good old days for a book or two. His most recent essays can be read in the Anderson Valley Advertiser out of Boonville, California (theava.com). Thanks to the HWG, he hopes to have his first book in 47 years out real soon. Jim Gibbons’ writing career started his junior year in high school when he made the wrestling team, but noticed his school newspaper didn’t cover the team’s recent victories. He complained to the editor, who countered, “Do you wanna do it?” Gibbons did it, and became sports editor the following year. Gibbons majored in English at the University of Wisconsin-Milwaukee, but after disliking a Structural Linguistics class, decided to take a creative writing class, and soon became a well-known Milwaukee poet, printing a small local poetry magazine called Pretty Mama, and giving readings with other Milwaukee Poets at the Avant Garde coffee house. Gibbons’ first book of poems, Prime the Pump, was the first book printed by Morgan Press in 1970. Ed Burton’s Morgan Press, operated from his Milwaukee basement on an old letterpress, went on to print many more creative poetry books, chapbooks, posters, and postcards. During the seventies, Gibbons’ poetry was in newspapers, magazines, and poetry anthologies with some of his favorite poets, including Richard Brautigan, Charles Bukowski, Gregory Corso, Lawrence Ferlinghetti, Frank O’Hara, Jack Kerouac, Anne Sexton, Lew Welch, Phillip Whalen, William Carlos Williams, and Al Young. 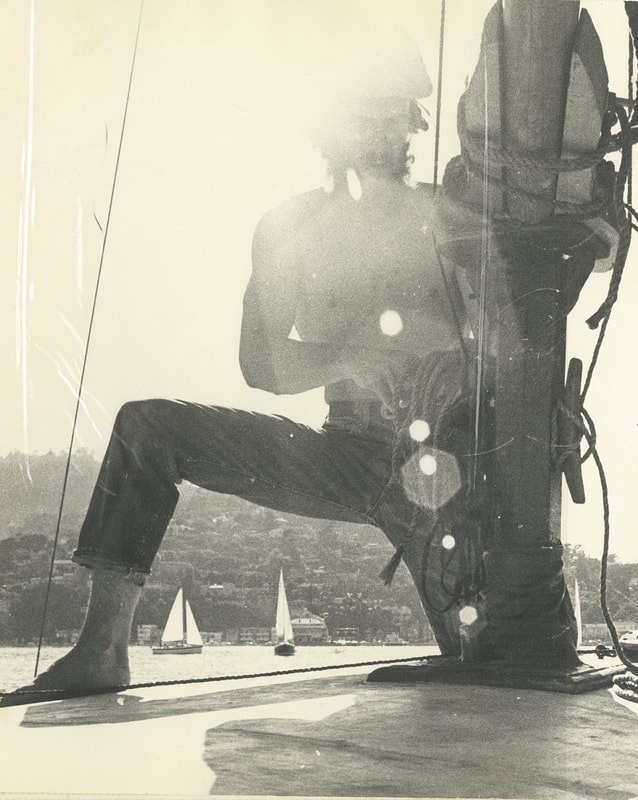 However, before he was published with his poetry heroes, he had turned his back on the poetry scene by dropping out and moving to the woods of Mendocino County in Northern California, where he built funky cabins, and helped raise chickens, goats, and his two boys. In the late seventies, Gibbons went back to school to get his teaching credential, and got into running. He returned to journalism and wrote a weekly running column for the Willits News called FootNotes, and briefly became the Willits News sports editor. He also taught English and journalism in the local school district, and coached the runners at the high school. This book is dedicated to the memory of my Dad, Robert “Bob” Gibbons, who used to say, “Jim, when are you going to finish something." 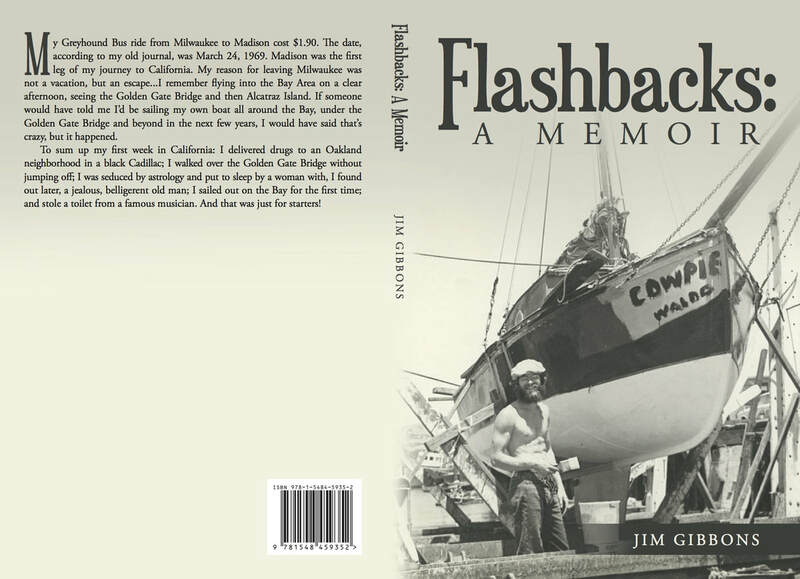 What others have said about Jim Gibbons’ memoir, which begins when he leaves Milwaukee back in 1969 and heads to California. “That was a great story, Uncle Jim. Funny thing is I was born April 1st, exactly one week after you left Milwaukee back in’69. That was pretty gutsy of you to make your way out there with no plan, low funds, and no place to stay when you got there. A real adventure for sure. You must have been motivated for a change. - Jeff Firzlaff, my sister Kathy’s son, an engineer at Ford Motor Co.
Makana and I fist-bumping in front of old photo of me on my bike that Ed Burton made into a poster. Circa 1975? Do Yvonne and I look happy enough with Eli, our first baby? Circa 1973. ​I thank Heather for the fine paint job. People smile and point when I ride by. with a view those short bikes lack. Or figure there’s a trick up my handlebars.